Does Your Product Need Wings? : Innovative Thinking Enhances Products - Innovation Loft | UNLEASH YOUR TEAM’S POTENTIAL! Does Your Product Need Wings? I haven’t heard a lot of people complaining about Ziploc bags. We keep them in our kitchen, and we use them often. I can’t say I’ve experienced any pain-points with them. We probably get generic ones or another brand equivalent, but I just use whatever’s in the drawer. However, as I was packing up my house to move, I found myself using a large number Ziploc bags as part of the process. I discovered that they’ve added a little wing in one side of the bag, which is supposed to make them easier to open. And you know what? They do. The little tabs actually do make a difference in the ease of opening the bags! Only after I experienced this improvement was I flooded with the realization of how much I’d been suffering all these years, having to either stick my fingernail between the two sides at the top of the bag to separate them or resort to the “thumb-and-forefinger friction” technique. Adding these wings saves me at least a half– and possibly a full– second each time I open a bag. Now, I’m as cynical as the next guy about “new and improved” products. The last great innovation in the world of resealable bags was when GLAD made its “Green Seam” — a seal that changed color when it was correctly connected. According to the New York Times, they spent $50 million developing this innovation. Maybe there were people out there for whom this was a solution to some major problem, but that wasn’t the case for me. In contrast, the addition of wings to the Ziploc bags is an extremely simple — and most likely low-cost — change. And, in the humble opinion of an avid resealable-bag-user such as myself, much more valuable. How did S.C. Johnson achieve this? Improvements of this type often come through customer empathy research. Empathy research helps identify customer ‘points of pain’ with a product or service, and how they can be solved. 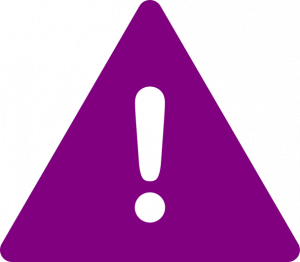 But getting customers to provide feedback presents a key challenge if your product is one which they frequently use. 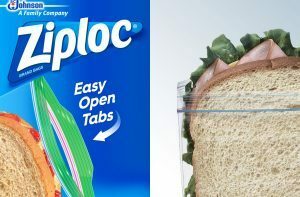 For products as everyday as Ziploc bags, behaviors that entail extra work for consumers have become unconscious habits. Asking users about improvements they’d like to see may not reveal specific opportunities. I wasn’t actively thinking about how I was opening the bags before they had wings because I’d already learned to do it. But once there was a better way, it was obvious that I’d been doing extra work, and it thrilled me to have that effort eliminated. The tendency of a workaround step to be categorized as an “unconscious experience” is why customer research done by directly asking people for suggested improvements isn’t as fruitful as that gleaned through distant observation. Ideally, you would observe your customers using your product in their natural environment — in this case, their kitchen — and engaging in the tasks they normally do, such as making their kid’s lunch. Would you like to figure out simple changes you can make to your products or services that are low-cost but can make a big improvement for your customers? Try to be a fly on the wall, and see what you notice. Pay attention to things like where your customer stores your product, when and why they access it, how they interact with the packaging, how they use the product, and what steps they go through to use it. This type of observation can yield a diverse range of valuable insights. Be especially attuned to actions or steps that require additional effort to simply use your product for its intended purpose. They’ve become so used to the behavior that they don’t think about it, engaging in a kind of product autopilot. Most of the time, customers don’t perceive these behaviors as problems and, as a result, rarely have any ideas for product improvements that would remedy these issues. The insights gained from empathy research observation can be translated into problem statements. Problem: Customers have difficulty separating the top lips of a resealable bag and must often make several attempts before succeeding. Once you have a distinct problem, it becomes easier to start improving! Reach your own high-leveled innovative solution and visit Planning An Impactful Event for expert tips from event industry professionals on how to conduct a purpose driven workshop! If you have any other inquiries about our space or services, please don’t hesitate to email info@innovationloft.com or give us a call at 646-692-3522.